​That's one way to motivate the troops. The Spurs put up just 46 points in the first half of their New Year's Eve tilt against the Celtics, much to the dismay of head coach ​Gregg Popovich. 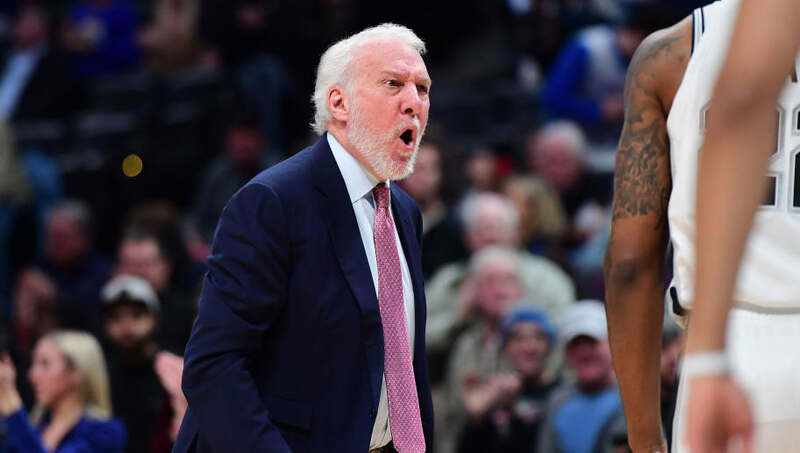 At halftime, Pop gave the team a piece of his mind, cussing them out in the locker room. ​The Spurs promptly responded with a 46-point third quarter on their way to an impressive win over Boston. Reporter asked DeMar DeRozan about the performance of the Chinese students at halftime. DeRozan didn’t see it. Said “we was getting cussed out” by Pop at halftime. When arguably the best coach of his generation calls out the team, they best respond or heads will roll. The names and faces on this Spurs roster may be new, but the one constant is the veteran head coach, who consistently has San Antonio in playoff contention. With DeRozan leading the way, these Spurs don't resemble the same pace-and-space, borderline European style which helped them reach dynasty status in the mid-to-late 2000's. Still, the best quality of Popovich is his ability to adjust to any situation, and San Antonio is right where they need to be to make another playoff run. A victory over another playoff contender in Boston proves just that.